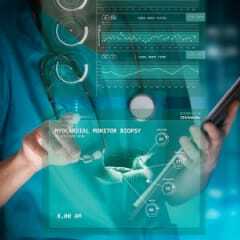 The average salary for an informatics nurse specialist in the United States is around $88,270 per year. This is 29% above the national average. ● Updated in 2017. Informatics nurse specialists earn an average yearly salary of $88,270. Wages typically start from $53,750 and go up to $139,850. How much does an informatics nurse specialist make in the United States? How do informatics nurse specialist salaries compare to similar careers? Informatics nurse specialists earn about the same as related careers in the United States. On average, they make less than back-end developers but more than video game producers.